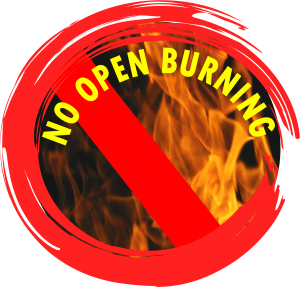 Carbondale, Colo. – Effectively immediately, Carbondale & Rural Fire Protection District will not be issuing any open burning permits. The fuel moisture content is low, there is not a lot of rain predicted in the near future and experts are predicting an increased wildfire risk in our area. Restrictions will remain in place until sufficient rain has fallen to mitigate hazardous fire conditions. “We want to do everything we can to prevent a wildfire, especially right now when the fuels are dry and have the potential to start a fire. By not issuing any open burning permits, we can take one risk factor away,” said Carbondale Fire Chief Rob Goodwin. Summer wildfire patrols will begin in the district after Memorial Day. The District also encourages everyone to use common sense when barbecuing with charcoal grills, smoking, using outdoor fire pits or camp fires in permanently constructed fire rings. Additional tips on outdoor summer fire safety can be found on our website at https://www.carbondalefire.org/2018/05/08/be-fire-aware-even-when-its-warm/. We also send a newsletter with tips and safety information, sign up at http://bit.ly/2jRDJ6U. For questions, please contact Carbondale Fire Chief Rob Goodwin at 970-963-2491 or rgoodwin@carbondalefire.org.